Richard Hill has been looking ahead to Eastleigh's trip to promotion-chasing Dagenham & Redbridge on Saturday. The Eastleigh director of football/caretaker boss has said that it is likely that Reda Johnson will miss out on the rest of the season due to injury. "Reda did his hamstring at Chester and I’d be very surprised if he plays again this season. There’s no point pushing him now. The Spitfires have taken ten points from their last four games. Hill said: “We’re in better recent form, but they’re (Dagenham & Redbridge) at the right end of the table with not a lot of upheaval this season, which is totally different to Eastleigh." “At Eastleigh it’s been one obstacle after another, but the club’s come a long way in a short space of time and perhaps it’s time to just calm ourselves down a bit. 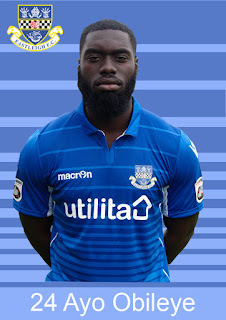 Centre-back Ayo Obileye has been talking to the Daily Echo about Eastleigh's form since switching to a back three and his recent goalscoring exploits. Obileye has noted the impact that Paul Reid has made to the team since he returned from Whitehawk. “Reidy is the leader of the three of us but we all talk to each other, it’s been going great for us. “Reidy’s a good player and a good leader, a real defender, so it’s good to have him there helping. 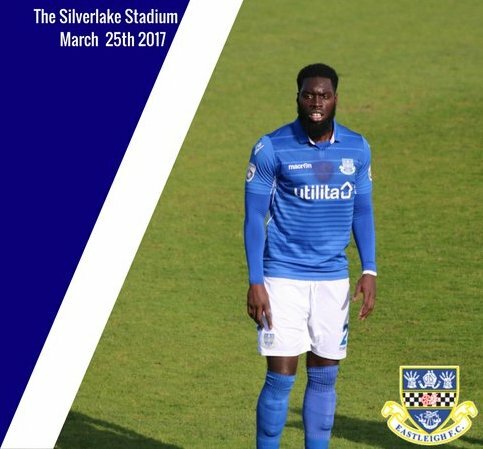 Obileye has scored four goals in 14 appearances for Eastleigh this season and has two in his last two games. “I was a striker as a kid so when I’m in the penalty box I’m quite comfortable,” he said. “There have been a lot of changes but we’ve all knuckled down and worked hard and it’s showing with our performances on the pitch. Eastleigh have added 17-year-old goalkeeper Nick Hall to the squad on a work experience loan from League Two side Portsmouth until the end of the season. Hall will provide some cover for the experienced Graham Stack and Ryan Clarke for the remainder of the campaign. 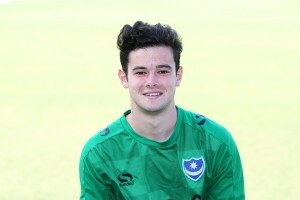 The young keeper played against Eastleigh Youth earlier this season in the FA Youth Cup which Portsmouth Youth won 5-0. Eastleigh sign Portsmouth goalkeeper EASTLEIGH have signed 17-year-old goalkeeper Nick Hall on a work experience loan from League Two outfit Portsmouth until the end of the season. Tyler Garratt has returned to Doncaster Rovers after a loan spell with Eastleigh. 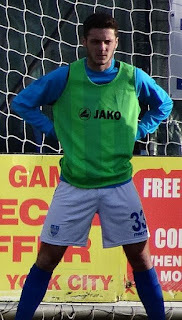 The 20-year-old left-back made 11 appearances for the Spitfires and scored one goal. He was signed by previous manager Martin Allen in December. After Richard Hill's return to the club, another left-back Sam Muggleton (also signed by Allen) left Eastleigh. It was also quickly announced that fans favourite Michael Green would be re-joining the club just two weeks after he was let go by Allen. Hill has said that Garratt has been allowed to end his loan spell and return to Doncaster in order to help young left-back Chinua Cole, who is now the backup option to Michael Green. “We wouldn’t have had Tyler for next season and, if I’d played him, it would have been standing in the way of Chinua’s development,” Hill said. Watch the goals from Eastleigh's 1-1 draw with Gateshead at the Silverlake Stadium. Ayo Obileye netted his second goal in as many games as the Spitfires responded to going a goal behind. 🎥 Watch the goals from @EastleighFC's 1-1 draw at home v @GatesheadFC. "It's a good performance from us. Obviously we wanted to win, we wanted to keep a clean sheet also, but going down 1-0 and getting back into it to get the draw is good for us." "The boys have been working hard. There's a lot of character in the team now." "For me getting the goal is good for me personally. I've been looking to get clean sheets as well. It's been good." "Getting goals is a good thing for a defender but keeping clean sheets is the best. If a defender can defend and score goals it's good. If I can do that then that will be good." Richard Hill shares his post-match thoughts after Eastleigh's 1-1 draw at the Silverlake Stadium with Gateshead. “We need to be better with the ball, but we look more organised than we did six weeks ago. “We looked a bit leggy in the last ten to 15 minutes, the formation we play is asking a lot of the three midfielders. Eastleigh share a point with Gateshead as Ayo Obileye nets his second goal in as many games for the Spitfires in a 1-1 draw. Eastleigh: Stack, Hoyte, Reid, Obileye; Odoffin, Burge (Stearn 80), Togwell, Matthews, Green; Constable (McAllister 67), Tubbs (Wilson 67). Subs not used: Dugdale, Cole. Gateshead: Montgomery, M Smith, Hogan, Fyfield, Brundle, Mafuta, McLaughlin, G Smith (Bolton 65); York, Johnson, Burrow. Subs not used: Hanford, Ajala, Bell, Green. Richard Hill reacts to Eastleigh's 3-2 away win at Torquay where the Spitfires made it three wins in a row. Sam Matthews reflects on Eastleigh's 3-2 away win at Torquay where the midfielder's two goals helped the Spitfires to a third straight win. The Spitfires make it three wins in a row thanks to two goals from Sam Matthews and one for Ayo Obileye. 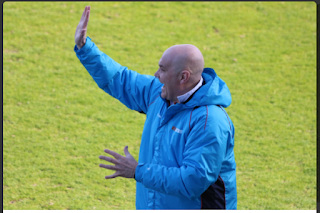 Eastleigh set to make changes for Torquay tripEASTLEIGH boss Richard Hill is considering ringing the changes for tomorrow's (Tuesday, 7.45pm) Vanarama National League trip to Torquay. The Spitfires have a few tired bodies after back-to-back victories over Barrow and Chester which have all but banished fears of falling into the drop zone. Reluctant hero Hill heaps credit on Eastleigh's players after vital win IN little more than three weeks back in charge at Eastleigh, Richard Hill has worked miracles. He took over a side that hadn't won in 2017 - and now, all of a sudden, they have pulled off back-to-back victories to raise themselves to a more comfortable looking 12th in the National League. "We're delighted to get the win away from home last minute. That's what we came here for." "Since the gaffer has come in we've been working on starting with a solid base at the back trying to keep clean sheets. And like you've seen in the last few games, we got one at a home and one away. Clean sheets win you games and that's what happened the last two weeks." "The gaffer said try to get in behind them and cause them a few problems, win some free kicks and get some corners if you can - and that's where the goal has come from - a corner." "The fans are brilliant coming all the way up here. It's difficult obviously but for them to come up here it's brilliant and all the players appreciate it and we hope that they can continue to keep on following us." "I thought last week there were massive positives in the way that we played and in the way the shape of the team looked. We changed it up slightly, we went three at the back and today we stayed in the game for long periods." "I thought we played pretty well first half without really creating too much. I thought we were the better side and then nothing beats getting a last minute goal as well. Clean sheet - most importantly and then to get a last minute goal was brilliant." "Last week we were solid from the get-go. We’ve talked about the game at York where we gave ourselves so much to do after the first 10-15 minutes being 2-0 down. The last couple of games we’ve been solid, in the game and then as the game goes on we’re going to get chances. We’ve got plenty of players that can score goals." Eastleigh secured back-to-back wins and clean sheets thanks to a late late winner at Chester from Scott Wilson. FULL-TIME | @ChesterFC 0-1 #Spitfires. Great Scott! It's back-to-back wins for Eastleigh EASTLEIGH can begin to breathe easily again after racking up back-to-back victories under the caretaker leadership of Richard Hill. Bringing back familiar faces from a bygone era is not always the recipe for footballing success. But targetman Craig McAllister reckons that, in Eastleigh’s case, the tactic is paying off. The return of defender Paul Reid and striker Matt Tubbs worked a treat last weekend as the Spitfires despatched Barrow 2-0 for a long overdue first win of 2017. It puts them level on points with Saturday's National League hosts Chester, who have themselves been having a rough time of it, losing seven of their last ten league games. Watch highlights as Eastleigh beat Barrow 2-0 at home with goals from Sam Togwell and Matt Tubbs helping to secure a well-earned three points for the Spitfires. RICHARD Hill’s instincts rarely let him down during his first successful stint as Eastleigh manager. That’s ancient history now, but his team selection for Saturday’s crucially important 2-0 National League win over Barrow proved his judgement remains spot on. Having had door after door slammed in his face in his efforts to strengthen a struggling side, Hill turned to two familiar faces to help the club out in a time of need. Hand on heart, not every Spitfires fan was happy to see Eastleigh retracing old steps by bringing back 35-year-old central defender and former captain Paul Reid from Whitehawk. 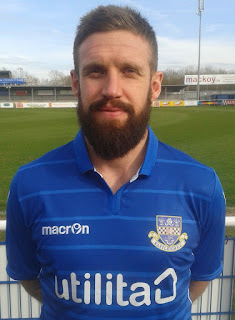 And as for inviting striker Matt Tubbs to re-join the club after his underwhelming loan spell from Portsmouth last season, it had the potential to leave Eastleigh's new director of football/caretaker manager with egg on his face. Post-match reaction from Richard Hill and goalscorer Matt Tubbs who were speaking to BBC Radio Solent following Eastleigh's 2-0 home win over Barrow. "It’s a good weeks work for the boys. It really is a good, good weeks work. From the hard work they’ve done this week, we’ve worked on things all week from Monday and that’s just capped off a perfect week as far as I’m concerned." "I felt I needed to strengthen this squad when I came in. I think it was pretty apparent to everybody that this squad needed strengthening. A wonder-strike from captain Sam Togwell and an early second-half goal from the returning Matt Tubbs saw Eastleigh get back to winning ways to pick up a well-earned three points for the first time in 2017. It was the Spitfires first home win since 25th October and a welcome boost for Richard Hill and his players. 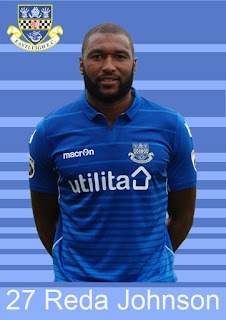 Eastleigh: Graham Stack, Gavin Hoyte, Michael Green, Paul Reid, Reda Johnson, Ryan Burge (Ben Strevens, 64), Ben Close, Sam Togwell, Craig McAllister, Matt Tubbs (Scott Wilson, 65), Hakeem Odoffin. Subs (not used): James Constable, Ayo Obileye, Ryan Clarke. Defender Paul Reid and striker Matt Tubbs have made a return to the Silverlake Stadium on contracts until the end of the season. Both players will be available for selection for the game against Barrow at the Silverlake Stadium on Saturday. Richard Hill explained how the deals came about: "Reidy contacted me just talking about the current state at the club and said if there was anything he could do to help he would be more than pleased to do so. "Having been looking in the market for players I had no hesitation in offering him a contract until the end of the season as I know he cares about this football club and will do whatever he can to change our current run of form." Reid has signed from Whitehawk where he has also had a spell in the managerial role this season as well as his normal central defensive duties. “We just need to try and get back on track and we need to try to pick something up from the game. The lads have been brilliant this week in training. Let’s not spoil a good week’s work by not finishing it off at the end of the week. “It’s important, the crowd are important to us. We need the crowd to come. They are not happy. They are not happy with one or two things and they are frustrated with things I’m sure. They are important to us. “I’d like them to put the differences aside with some of the players they aren’t particularly happy with or what’s gone on. A Spit of bother: Hill of a task facing Eastleigh managerEastleigh tomorrow aim to end a shocking home run that has contributed to fears of a possible relegation battle. The club, now under their fifth manager of a shambolic campaign, have not won in front of their own fans since October 25 - 136 days ago. 'Footy for a quid' at EastleighEASTLEIGH are offering 'Footy for a quid' to all youth clubs for their Vanarama National League showdown with Gateshead on Saturday, March 25. The youth club purchasing the most £1 tickets will win either a brand new kit or equipment from the Spitfires. “Getting sacked, as I did at Eastleigh last month, is always upsetting and disappointing. “My life was non-stop telephone calls with agents, the club secretary, finance director, chairman, assistant manager, senior players, physio and local media - then all of a sudden with one conversation at Newbury Services it all just ceases. “It feels weird, but it is something I'm getting used to now. The results were not good enough, as the results were not good enough for the previous manager or the previous manager before him. Eastleigh suffered a 3-1 defeat away at York City. Two goals from Jon Parkin put the hosts 2-0 ahead after just 13 minutes leaving Eastleigh with a lot of work to do to recover. Ross Stearn pulled a goal back for the Spitfires in the 16th minute as his free kick was misjudged by York keeper Kyle Lethern. Vadaine Oliver added a third for York ten minutes from time to seal a 3-1 victory leaving Eastleigh still searching for a win in 2017. Eastleigh come a cropper at lowly York EASTLEIGH crashed 3-1 at lowly York City this afternoon and remain without a win in 2017. The Minstermen propelled themselves off the foot of the Natioanl League table after taking charge with two Jon Parkin goals in the first 13 minutes. "His agent suggested the new manager’s style of play wouldn’t suit his player and that it might be in his best interests to leave. “I spoke to the agent about 1.30pm on Monday and, by 4pm, Mekhi had signed for Billericay who had obviously found a money tree at the bottom of the garden. “To be fair to the lad, he was on contract until the end of the season and walked away without any compensation. He’s been able to go to another club where, financially, he’ll probably be in a better position - otherwise you don’t leave Eastleigh FC to sign for a club two leagues below. “To make it clear, it was Mekhi’s choice to walk away.